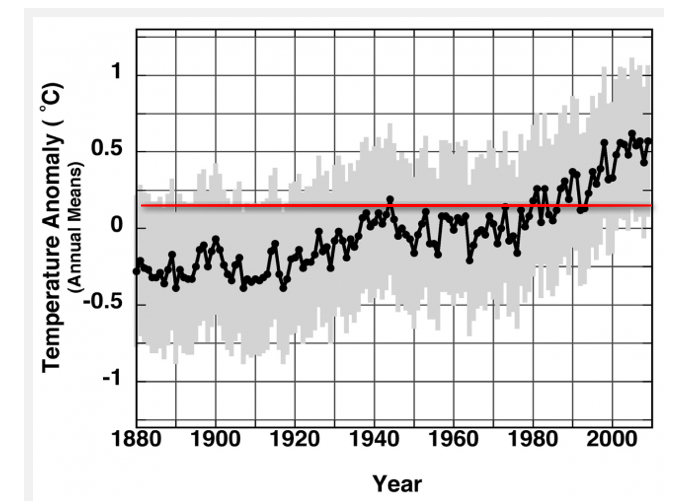 MSE Creative Consulting Blog: Global Warming Erased? When I present one of my global warming seminars, I bring up the numerous problems with the world's temperature records that have developed since the 1990's. Since that time, we have lost roughly a quarter of the world's weather stations, especially near the Arctic circle (due to the end of the Cold War). That loss may add a warm bias into the temperature record. 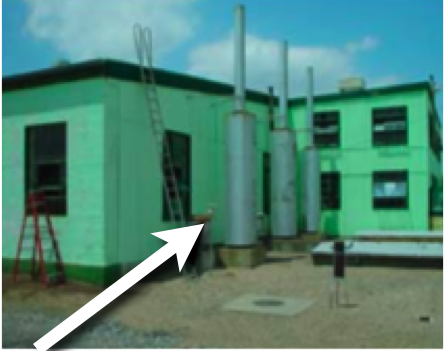 The electronic thermometer is circled. It is less than 9 ft. from the air conditioner. ...the global surface air temperature anomaly trend from 1880 through 2000 is statistically indistinguishable from 0 C, and represents a lower limit of calibration uncertainty for climate models and for any prospective physically justifiable proxy reconstruction of paleo-temperature. The rate and magnitude of 20th century warming are thus unknowable, and suggestions of an unprecedented trend in 20th century global air temperature are unsustainable. that it is possible (but not likely) there has been little or no "global warming." The entire paper can be purchased here. I believe temperatures are warmer than in the 1970's. But, I believe the amount of warming as presented in the NASA, NOAA, and British data, since 1990, is inflated about about one quarter or one third. Um, these are not the stations that are being factored in to the climate record. Not to mention that almost all of our temp data since the 1970s comes from satellites. 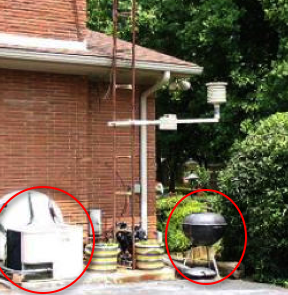 All three of the weather stations pictured above are part of the U.S. Historical Climate Network which is a subset of all available weather stations. 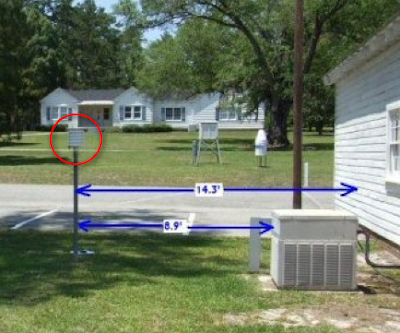 The weather stations depicted are specifically used in the NOAA and NASA calculations. And here I though I was one of the only people in America that thought the mass hysteria about global warming was way overblown. It has always seemed to me that the 'science' used by the 'global warmers' was very selective.